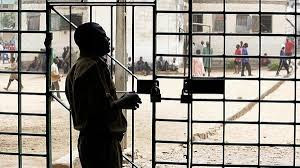 Nigeria's Prison population of 65,000 inmates are currently under the threat of starvation following the non-payment of ration and gas suppliers since 2015. Saturday Vanguard gathered that the Federal Government had since 2015 failed to remit payment of over N6 billion to the contractors. Reacting to the development, one of the suppliers, Hajia Maimunat Usman urged President Muhammadu Buhari to cause the Ministry of Finance to release the money to the appropriate bodies for disbursement to the suppliers. “The prisons service is plagued with inadequate infrastructures, degrading facilities and most especially failure and negligence of the appropriate authority to pay the contractors who are given the mandate to provide food to prisoners. “The contractors are still being owed 2015 and 2016 outstanding payments for the supply of food to the prisons. Several efforts to get the Ministry of Finance to remit the outstanding payments have been futile,” she said.